The House of The "Black Robes"
This Neo-Gothic house, built in 1887, has been the home to generations of Jesuit Fathers. Chosen by Brother Carfagno, the design was unlike other buildings on the property, and stands in stark contrast to the Greek revival style of the Old Mission. The Jesuits are a missionary order of the Catholic Church. Jesuit priests have been active in missionary efforts throughout the world since the 1550s. 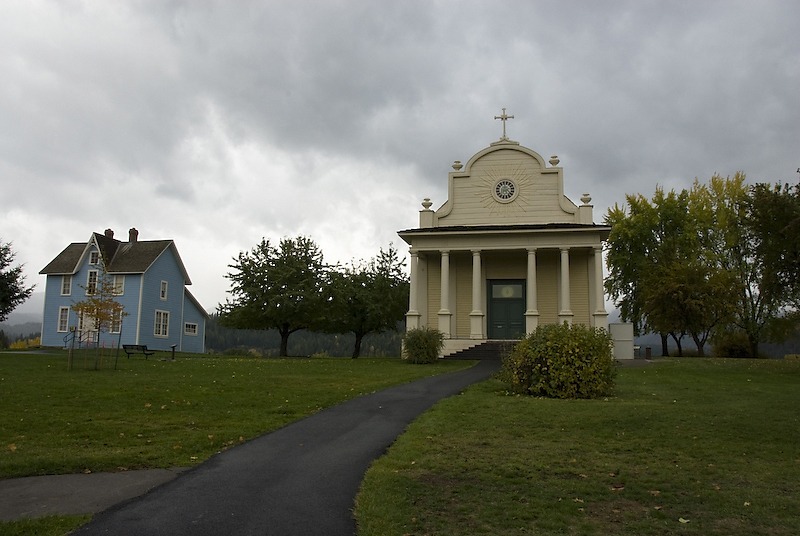 Cataldo was the first Jesuit mission in the area, built in 1850, it served the Coeur d'Alene Nation, as well as miners and pioneers traveling west seeking their fortune. The parish house, although a private residence of the priests, sheltered some of these weary travelers. Some notable Jesuit priests that lived in the house are Father DeSmet, Father Cataldo, and Father Diomedi. The parish house that stands today is in fact the third parish house for the Cataldo mission. The original, built in 1848, burned to the ground, was rebuilt, and burned again. Fortunately, the final parish house has withstood the test of time, housing generations of Jesuit priests and those training to join the church. In 1905 the Jesuit novitiate was closed and the parish house fell into disrepair becoming a dangerous tinderbox that in 1926, was moved a fire safe distance of fifty feet from the Mission, which was being restored at the time. When the restoration of the Mission was complete the parish house was used as the residence of the caretaker of the property until 1974. A year later in 1975, the parish house gained recognition for its historical and cultural value when the Old Mission was designated as an Idaho State Park. Through fundraising The Old Mission Associates were able to raise the $75,000 required to restore the quaint two-bedroom house, which opened to the public in 1987. Today the parish house houses no Jesuit priests, but their teachings echo through the house... literally. When entering the house an audio recording of the teachings of Jesuit Fathers plays, reminding their young pupils to not spit in a way that may disgust their peers. Surrounded by the scenic mountains and overlooking the meandering Coeur d'Alene River, a stop at Old Mission State Park is worth the five dollar visitor fee to tour the parish house and the Old Mission. 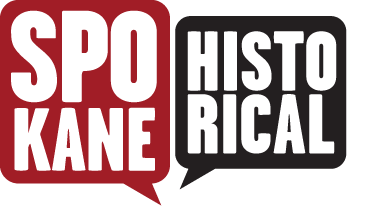 Elizabeth Oliver, “The House of The "Black Robes",” Spokane Historical, accessed April 24, 2019, https://spokanehistorical.org/items/show/515. Special thanks to the staff of the Old Mission State Park. Okerlund, David F, and Vaughn, Connie J. "Old Mission State Park Master Plan." Idaho Department of Parks and Recreation. "Brief History of the Jesuit Priests/ The Society of Jesus." Courtesy of Old Mission State Park Visitor Center.